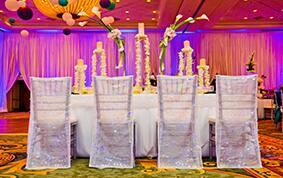 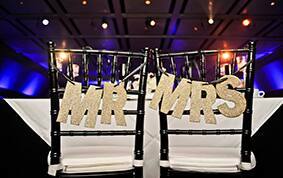 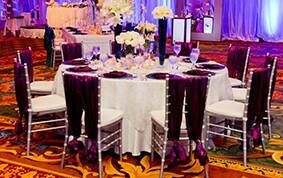 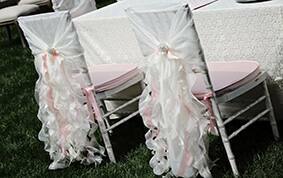 Just as queens reign from their thrones, every bride deserves the perfect seat for her big day. 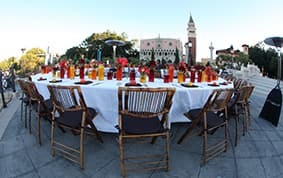 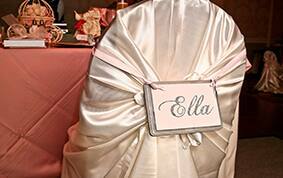 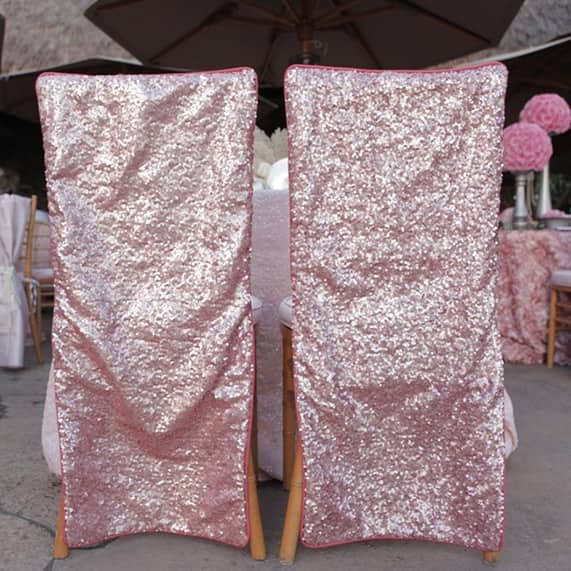 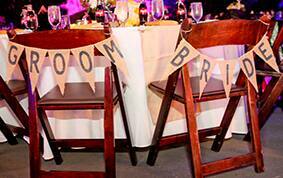 Whether it's a chiavari chair strung with an adorable sign, a ghost chair to add an element of drama or a banquet chair covered with the colors of the rainbow, specialty seating is a way to really plus up your reception décor. 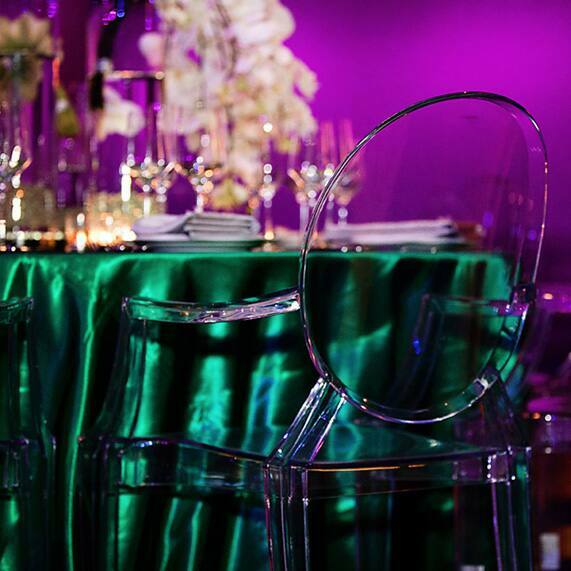 Play with your wedding colors or find inspiration in the photos below to discover "the perfect seat" for your dream wedding.